Are you looking for a slide thats great for all ages and is sure to keep everyone cool in that Texas heat? Well this slide is for you! 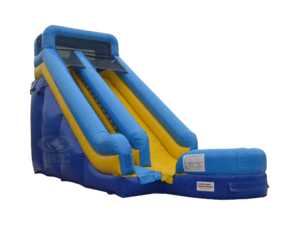 The Fast Splash is our basic 18 foot tall waterslide which is perfect for any event all while getting the best bang for your buck!